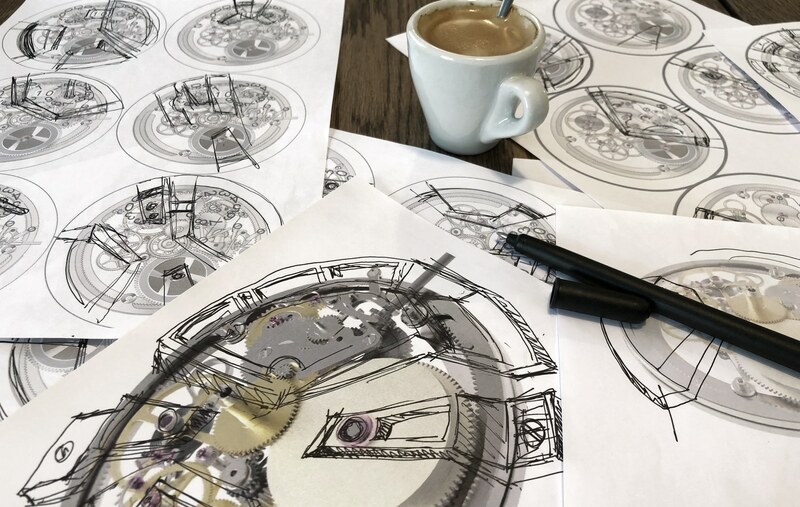 On March 14th, we introduced you to our slightly crazy project involving the creation of the first community-based manufacture movement, with the aim of making high-end watchmaking more accessible. Many of you voted and left positive comments, which we greatly appreciate 🙂 This means that stage 2 – development – is now underway! But the hardest part is still to come, with numerous steps to be approved together over the course of the coming months, and we will also require a minimum of 200 preorders in order to launch production. The creation of a new manufacture movement is the essence of mechanical watchmaking. As fans of these little machines know well, it’s not about function – here, telling the time is just a pretext – it is above all about the beauty and magic of these incredible instruments that capture our childlike wonder. It is important to clarify that the movement we are currently developing is nothing like the usual mass-produced skeleton movements. Indeed, the mass-manufactured standard movement with open-worked plates mustn’t be confused with our own movement, produced in a small run, with bridges machined on-demand and exclusively for CODE41. Furthermore, the peripheral oscillating weight that will accompany our movements represents real technical prowess that few brands have been able to master. During the previous chapter, many of you voted for the automatic version despite its higher cost. 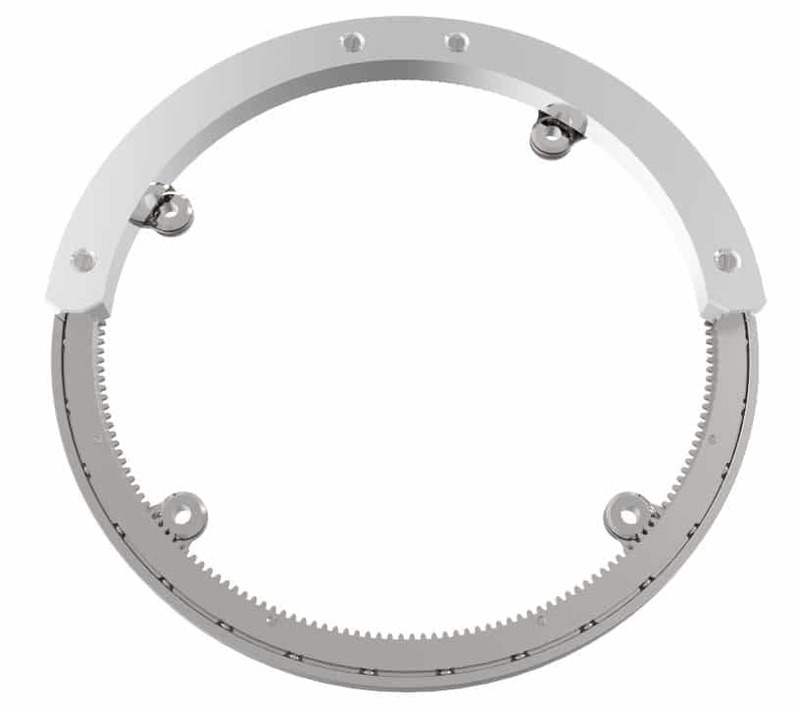 We have therefore decided to integrate the much talked about peripheral weight into all of our X41 movements. Here’s what it will look like. Based on a production run of 500 movements, the cost of production for the grand date is $ 250 / € 217. This would move the total price of the movement up to $ 1,650 / € 1,434. SO, DATE OR NO DATE? 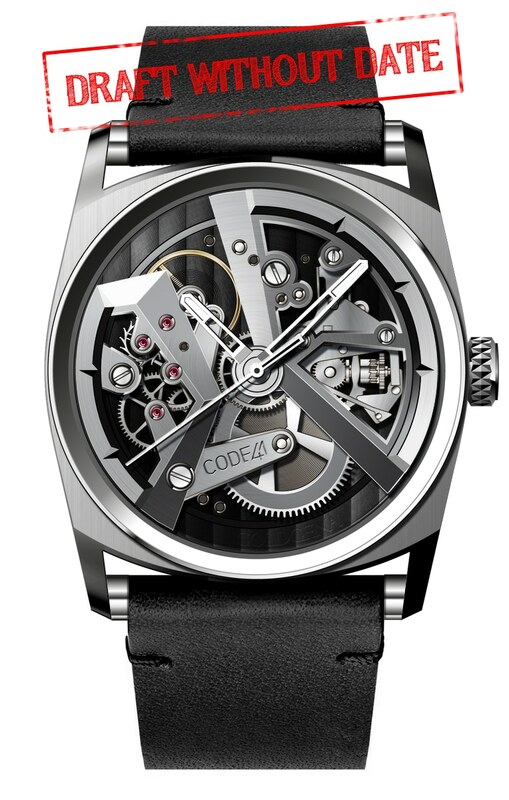 The architecture of the X41 movement has not yet been finalized. We still have to work on designing the bridges and improving the readability. We’ll be able to show you more complete versions in future chapters, but for now, here are a few drawings to give you an idea of the conundrum that is designing a manufacture movement. Our aim is to build on the powerful, recognizable brand codes we have created with our ANOMALY case. As a young brand, it’s important for us to concentrate our efforts on establishing an emblematic style before trying to launch a completely new design. That said, we are currently working on some nice developments that we’ll be revealing to you over the coming chapters. We initially planned to begin accepting pre-orders in mid-June, just before the summer holidays, but development – in particular the changes resulting from the addition of the grand date – is going to take longer than anticipated. We would therefore prefer to launch pre-orders at the start of September. Cette montre m interesse, je m inscris comme potentiel acheteur. Merci pour votre commentaire 🙂 Dépêchez vous à faire votre pré-commande, les stocks diminuent vite..
Comme beaucoup ici je regarde avec un très grand intérêt cette X41 ! Y aurait il un passionné de belle mécanique pour me parrainer dans mon futur achat ? ce projet m’intéresse ! belle technique, belle présentation. je préfère sans date. Ce n’est pas une montre que l’on porte tous les jours et remettre chaque fois la date à jour serait fastidieux et à la longue entraînerait une usure plus importante. Bonjour François 🙂 Nous notons vos remarques. Pour ce projet nous ne pourrons pas les suivre mais je vous invite à continuer à donner votre avis! Comment puis-je précommandes la x41? Hallo, ich verfolge die Entwicklung der Code41 mit großem Interesse. Gibt es auch ein Stahlband zu der Uhr? Je possède une CODE 41 et j’en suis enchanté. C’est une belle montre. Faites-moi signe quand elle sort avec la date, elle sera encore plus fonctionnelle. Quel serait le prix du x41, pour un nouveau membre, ou commande avant lancement?